** New for the 2012 Pro Tennis Season ** Do like tennis? We have an App for that! Enjoy the best Pro Tennis Game for iOS. Now in our 3rd year, we've upped the action bringing a host of new features, refined game play and tennis action. 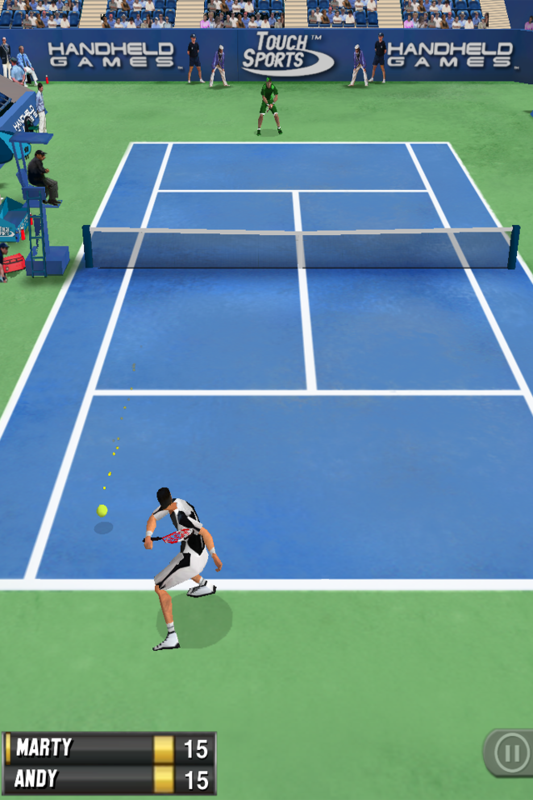 For beginners, casual players and Pro Tennis Game Enthusiasts alike, TouchSports Tennis 2012 delivers the definitive iOS Tennis Game Experience. Tired of Tennis games with difficult ontrols that just don't work? 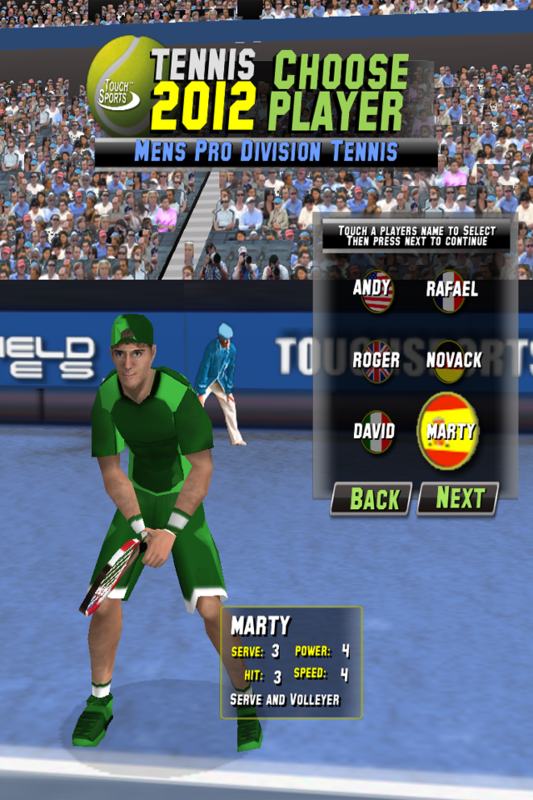 Tennis 2012's Natural Motion controls allow players to effortlessly move on the court and play like a pro. Dragging one finger on the screen moves the tennis player. Swiping with 2 fingers swings the racket with ultimate precision and controls. Its that easy! Place a drop shot just over the net, out of your opponents reach, lob the ball over your opponent to back court, or smash a top spin cross court. A control system designed for pro players and beginners alike! • Pro swing controls: swipe to control power, and shot type including Top-Spin, Slice, Regular, Drop Shot and Lob. • Full retina display support. Super-Resolution user interface for iPhone 3GS and iPod touch 3G+ users delivering Ultra clear readability and detail. • MSAA support for the iPhone 4S and iPad2. • 4 Unique court surfaces: clay and grass & 2 artificial. • Sky scene changes throughout the day. • Touch and Swipe Game Play. With TouchSports™ Tennis HD, you’ll serve, smash, and perform the most incredible moves with touch game play and tilt action. 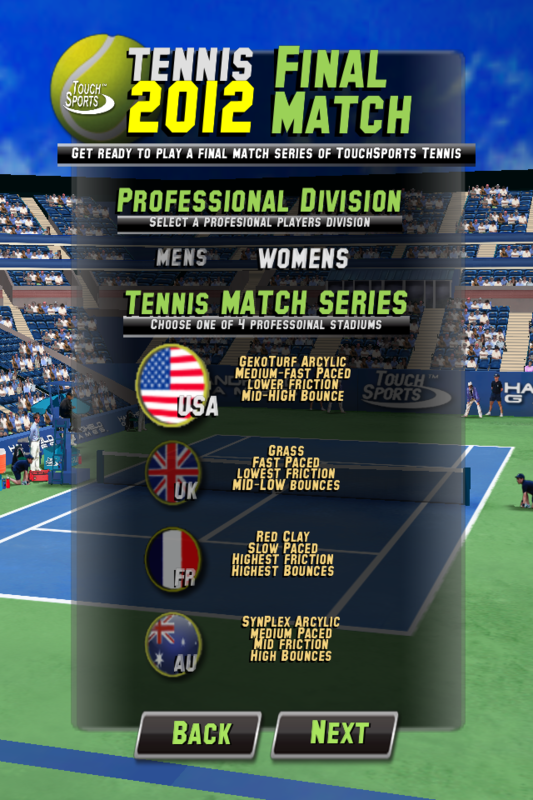 Four tuned levels of difficulty ensures players of all types will enjoy TouchSports™ Tennis HD from the first serve. 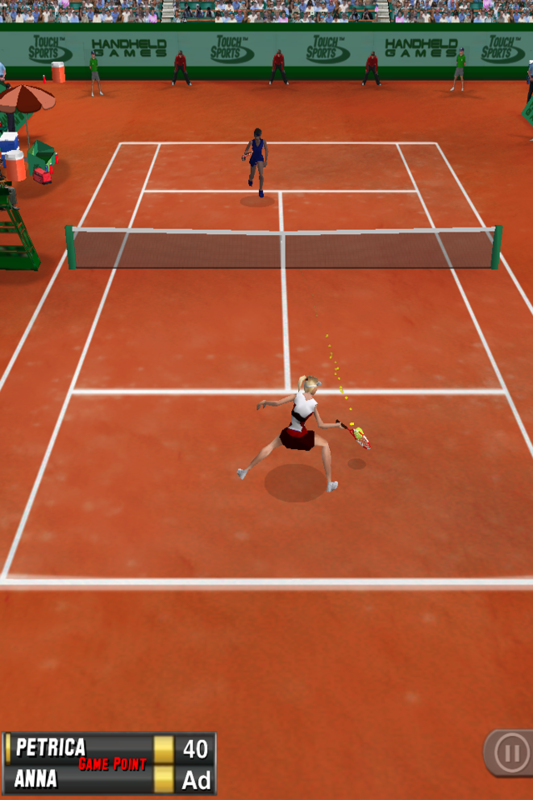 Put down your racket and grab your iPhone or iPod Touch, TouchSports™ Tennis is here! This version brings enhanced stability for the iPhone 3GS with iOS 5.x. • Corrected an issue with the startup of the ball trail on the 3GS with iOS 5.x. resulting in a less than graceful low memory condition and crash of the game. • Enhanced user interface memory management to accommodate for iOS 5 and the 3GS. • Fixed issue with music and sounds volume levels at initial startup. • Upgraded scene assets to support texture compression. • Enabled MSAA for iPad2 for enhanced low-res support. More Games by Handheld Games Corp.
SurrounDEAD - EP3: Barrels go BOOM!